West meets East. Classical music meets Improvisations. 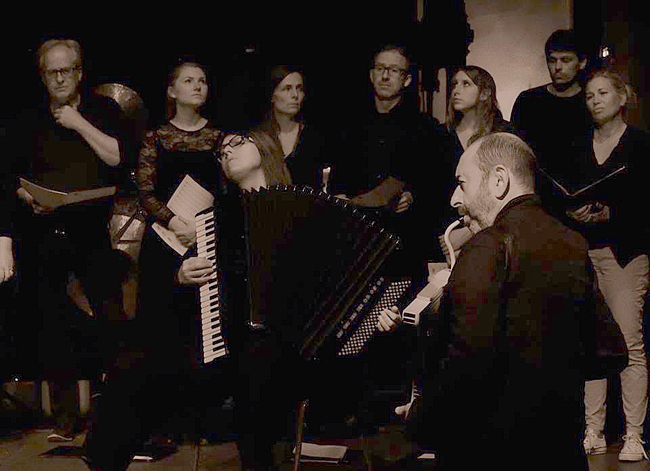 Prayers and Meditations is a new piece by Misha Alperin and Evelina Petrova, written for the Oslo Chamber Choir and soloists. 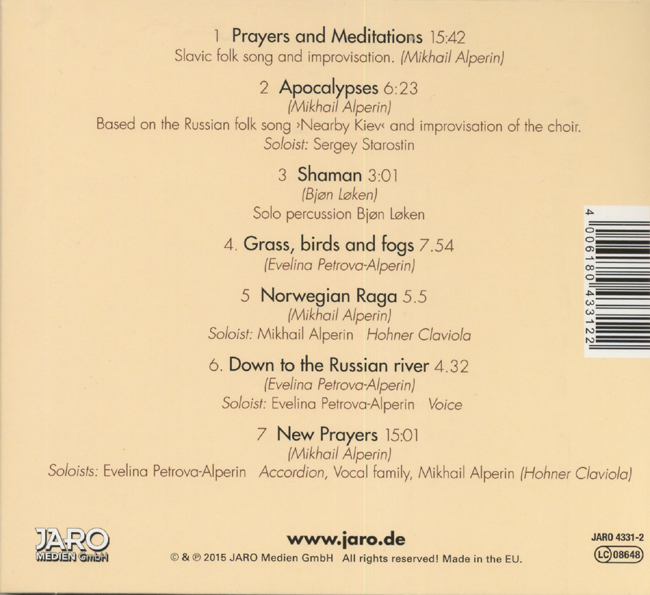 Misha Alperin himself improvises on claviola, while Russian and Bulgarian folk singers participate, together with Norwegian percussionist. The premiere performance took place at Ris Church in Oslo spring 2015. Hakon Nystedt describes Prayers and Meditations as a piece that crosses musical borders, without making aesthetic compromises.